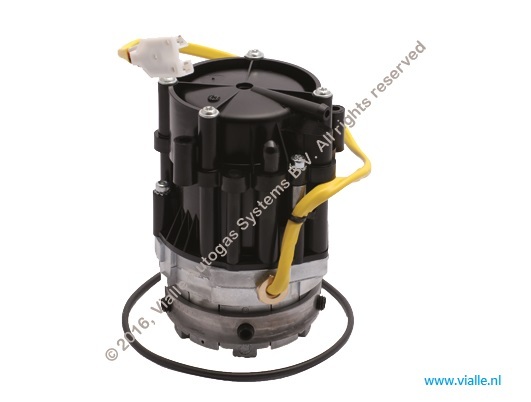 Vialle Autogas Systems BV strongly recommend not to replace a broken Vialle PTC –pump by a so-called refurbished PTC-pump!! We won’t support this neither give any warranty on these refurbished aftermarket pumps. On Internet, we see a lot of providers whom are claiming to sell officially refurbished Vialle PTC pumps as a result we hear a lot of different negative messages out of the LPG market regarding these so called “refurbished” PTC pumps. In the unfortunate case that the LPG (PTC) pump fails to work properly and has retired and the warranty term is expired, Vialle aims to keep the costs for you as a highly valued Vialle customer as low as possible. For that reason we have established a PTC-pump deposit scheme. In the end you ask your yourself, what is wisdom, buying a so called refurbished pump or for approximately the same money a brand new original Vialle pump? - What parts have been replaced and what quality of material is used? Vialle pumps are made up of carefully designed, selected material and manufactured parts, these parts meet the highest quality and safety standards you can find in the market. The used materials and components are designed and carefully selected / produced by and for Vialle AS BV only and therefore not for sale in the market. - Has a revised pump been checked again afterwards? Vialle pumps are checked and tested at multiple stages during assembly. At the end of the assembly, a so-called end of line test is carried out with a test fluid. The pump must comply with a number of stringent requirements like minimum working pressure and minimum flow set by Vialle. A refurbished pump, who knows? In any case not by using the purpose built calibrated testers we have in our workshop. - How long can it last? Unfortunately, your Vialle pump has broken, but you'll find out that the pump has brought you many, many economical and safe mile’s. You can expect at least the same performance of a brand new PTC-pump. With a “refurbished pump “it will always be a gamble. - What warranty is issued on this? In case of a refurbished pump most often warranty is given, however, it is quite likely that you also really need that warranty. A new Vialle pump has a standard 3 year warranty or 100,000Km whatever comes first. But the chance that we will see the pump in that period is very small. - What about the used oil? We have no knowledge of the oil used in refurbished pumps. The only thing we know is that Vialle is using a very special oil which is hard to obtain in the market. The special oil is a guarantee for a proper operation of the PTC-pump under all conditions and circumstances. Last but not least, the noise level of a typical PTC-pump. From experience we know that a pump with a history and high mileage can become a little more noisy. As stated before a refurbished will always stay noisy and this phenomenon will be even worse in time since the critical parts can’t have been replaced in a workshop. With an original new Vialle PTC pump you are assured that it is a brand new pump built up with the right and new parts. For a long story short,You are better off at all times with a new original Vialle pump which guarantees many years of driving pleasure. That does not necessarily have to be the case, at the time you use our deposit money scheme, the price of a new pump will be almost the same level of the so-called revised.